According to a survey asking lawyers how they handle bookkeeping in their firms. 41% of the respondents said they do their own bookkeeping. Why would any lawyer want to spend any amount of time on this type of tedious and annoying work? Especially when there are services out there to whom you can outsource your law firm’s bookkeeping. 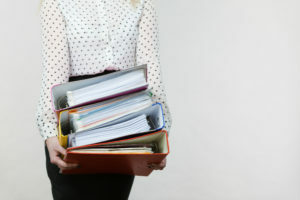 One Call Bookkeeping knows the the main challenges that Solo and small Firm lawyers face with their Bookkeeping. I’ll set up reporting and dashboards focused on cash-flow, growth and profit. I would suggest using a industry specific software such as Clio, which integrates seamlessly with the accounting software (Xero) i would use. I would then monitor all your firms business accounts (operating, IOLTA, credit cards, etc..) via bank feed into the accounting software. One Call Bookkeeping is there to meet it, greet it and defeat it. Getting you ready to reach new heights and meet long sought after goals. Most lawyers are gluttons for punishment. [/vc_column_text][/vc_column][/vc_row]Then you my friend…are a glutton for punishment. [/vc_column_text][/vc_column][/vc_row]You should definitely not be doing your own bookkeeping. So, unless you are also a CPA in disguise with time to burn. Then you my friend…are a glutton for punishment. [/vc_column_text][/vc_column][/vc_row]When it comes to running your own Practice,the less time you spend on things other like bookkeeping, the better. Because lets face it, time is money…..and well…TIME. You should definitely not be doing your own bookkeeping. When it comes to running your own Practice,the less time you spend on things other like bookkeeping, the better. Because lets face it, time is money…..and well…TIME.